Despite the fact that Psalms 97:10 adjures the faithful “O you who love the Lord, hate evil!” (Tanakh), I’m writing this blog because a dispute broke out on a friend’s FB page, regarding whether the emotion of “hate” was always to be detested and repressed, or whether it was the sane response to a world spinning out of control: authoritarian, death-obsessed, and failing. I was the “hater” who was stigmatized. So I’m writing this blog to defend not only myself but Philip Roth’s character “Mickey Sabbath” in his 1995 novel SABBATH’S THEATER, a righteous hater if there ever was one. Call Mickey crazy if you prefer: I call him and his creator genius artists, with out-of-bounds imaginations that are unsurpassed. No European myth is benign or even neutral with regard to Jews or to the liberal values that Andrew Sharf wants to defend, nor can it be otherwise. All Jews, including the “eternal” ones, are “bad”; the antithesis of Christian and Jew corresponds to the antipodes of Christian [organic] conservatism* and Jewish [classical] liberalism: (heartfelt) mysticism and (heartless) science, trust and withering skepticism, loyalty and betrayal, community and mob, busy bee and parasite, garden and wasteland. 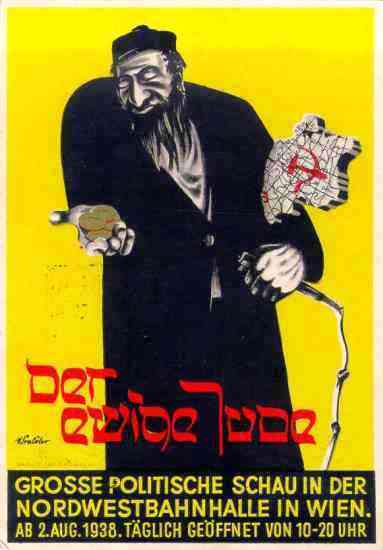 “Good Jews” like Lessing’s Nathan the Wise, Cumberland’s Sheva, Walker’s Schechem, and Dickens’ Riah who appeared in the humanitarian literature of the late eighteenth and early to mid-nineteenth century were good only because they were more Christian than the bourgeois Christians who were behaving like Shylock and Fagin; capitalism purged of its Judas red-beards would presumably lose its heartless and exploitative character. Christian landlords would never evict a tenant, Christian bankers would never foreclose a mortgage: this demented idea is fundamental to the völkisch revolution of Nazism, but was not their invention. Nazi anti-Semitism, then, was only partly about the considerable material advantages in expropriating Jewish property and expelling Jewish rivals: Nazis, to maintain their credibility as redeemers and protectors, would have to plunge a stake in the heart of the “demon Thought” (to use Byron’s expression). For the antifascist critical mind is not found in a guilt-ridden Adam shrinking from conflict with illegitimate authority or from the perception of other irreconcilable conflicts. Instead, the anti-Semitic/ anti-intellectual mind anxiously mystifies class and gender antagonisms by positing (an unattainable) harmony as “normal.” Brandishing images of solidarity, the fascist bonds people only to “romance” in a false utopia necessarily maintained through deceit, terror and catharsis. I was born into a non-observant Jewish family: all my grandparents were immigrants from Eastern Europe. 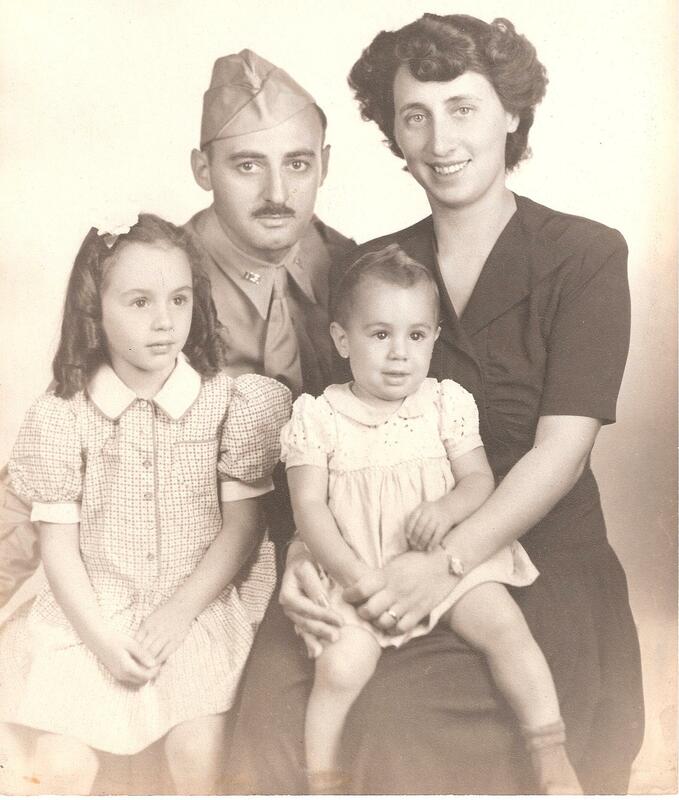 Most of my childhood was spent following my adored father-the-doctor around the US as he ran various pathology laboratories for the U.S. Army in which he served as a captain (after the war, he told me resentfully about the antisemitism he encountered). I was usually the only Jewish kid in my eight public schools in Texas, Missouri, California, then in Coney Island and Elmhurst Queens. Nothwithstanding the lack of intellectuality in my immediate family, I was never indoctrinated one way or another to either hate being “Jewish” or to hate the invariably white Christians in my immediate environs. Not long before she died, my mother Betty Spark asked me, were I to do it over again, would I choose being Jewish. (This from another secular Jew.) I said of course, and thought to myself today, “I only wish I had learned Yiddish for its spectacular vocabulary of derision,” a language my mother spoke and understood, but had not bothered to teach me. I’ll say this about my sort of Jewish Mother: she advised me never to carry a grudge; i.e., never to become a hater. As the daughter of a doctor, I have diagnosed many “haters” whose anger was turned against themselves, leading to ulcers and worse. I take after Betty in this respect, and cling to those qualities in myself that make me a better warrior and a wiser mother and grandmother. Some think of me as cold, detached, and male-identified. Put me in a box with Captain Ahab, a character who is almost always wildly misread for ideological reasons (see https://clarespark.com/2010/06/12/preface-to-second-edition-of-hunting-captain-ahab/). We are connoisseurs of revenge. We are warriors against all forms of evil, especially arbitrary, duplicitous authority that diminishes the creativity of individuals. If that makes me a jerk with both a ramaging Id and a Hebraic puritan superego, and, hence, a bit mad, so be it. I stand with Herman Melville, Philip Roth, and bless his crazy heart, “Mickey Sabbath,” a Jew I can understand.